Smartphone Fanatics: Microsoft Surface Pro "Sells Out"
This looks like an emerging trend: new gadgets are selling out on launch day. First is was the new BlackBerry Z10, now it looks to be that the 128GB Microsoft Surface Windows 8 Pro is also flying off the shelf. Here is some interesting information on sales estimates for the Surface Pro. "Surface Windows 8 Pro 64gb is available online or from store shelves at all Microsoft retail stores in the U.S. […], at Staples and Best Buy in the United States […]. Customer response to the launch of Surface Pro has been amazing. We’re working with our retail partners who are currently out of stock of the 128GB Surface Pro to replenish supplies as quickly as possible. Our priority is to ensure that every customer gets their new Surface Pro as soon as possible." "Microsoft's retail partners for the Surface in the U.S. -- had single-digit supplies that in some cases were claimed earlier in the week." Being an self proclaimed Apple fan, I liked John Gruber's post on Daring Fireball about the subject. Specifically, the articles he linked to over on the Virtual Pants blog. "When new products sell out on launch day it usually means one of two things: it’s a hot product or they didn’t make enough. Unfortunately for Microsoft, it appears that the Surface Pro falls into the latter category. My local (Northern Virginia) Microsoft store sold out in 15 minutes, which means there wasn’t much to sell. The local Best Buy sold out too, but only received one unit. The local Staples received and sold a whopping two units. Selling out on launch day doesn’t mean very much when there isn’t anything to sell in the first place." Best Buy: 1,103 stores * 2 units per store = 2,206. Staples: 1,575 stores * 2 units per store = 3,150. Microsoft Store: 30 stores * 150 units per store = 4,500. 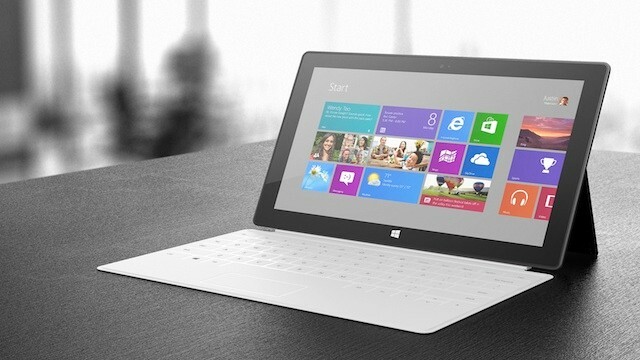 That’s 9,856 Surface Pros sold in U.S. retail stores on launch day. Many more were likely sold online, but less than 10,000 units available in retail stores is an embarrassment by any measure." This "sell out" is starting to sound a lot like the BlackBerry Z10 sell out, the Palm Pre sell out (which I was a part of, my "live" blog is here), and as AppleInsider (biased, yes I know) reminds us, the Microsoft Zune HD sell out.